Writer David Fortier recently conducted an extensive torture test of AR15 magazines — both polymer and metal-bodied. Fortier’s test results, some of which may surprise you, are found in David’s article “Feeding Your AR”, published in the November 20, 2009 edition of Shotgun News. 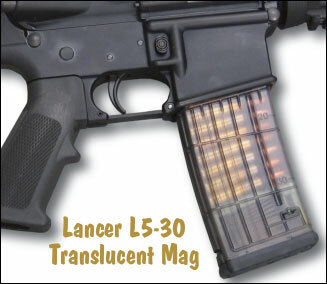 Fortier tested a variety of popular AR mags including PMAG, Tango Down, CProducts SS, Brownells, Bravo Company, Lancer, MSAR, and Tapco. The “torture tests” included dropping the mags on their feedlips from 8.5 feet, driving a full-size army truck over the mags, jumping on the mags, and deliberately tilting the followers. 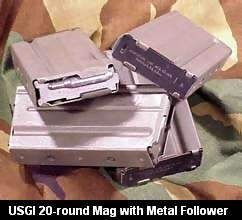 The mags were also tested for fit and function with live-fire shooting. Results were a little surprising. When dropped from 8.5 feet on their feedlipgs, the Tango Down, PMAG and TAPCO all split down the spine.